Cole has signed a one-year contract with Maccabi Tel Aviv of the Euroleague, international writer David Pick reports. 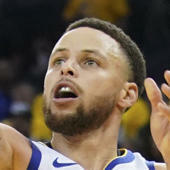 Cole opened the 2016-17 campaign playing in the Chinese Basketball Association, but following the completion of that season, he ended up joining the Thunder for the final month of their schedule. He took part in just 13 games, posting averages of 3.3 points and 1.1 assists across 9.6 minutes. Once again, Cole struggled to field interest during free agency this offseason and will now head to Maccabi Tel Aviv. That said, there's a chance he ends up coming back to the States following the completion of their season once again, so it wouldn't be surprising if he ultimately attempted to latch on with a contender in February.